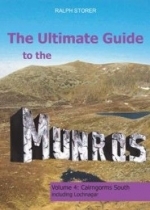 The Ultimate Guide to The Munros is a guidebook with a difference. Rather than telling the reader which are the 'best' routes, it describes all practicable ascent routes up all the Munros, and rates them in terms of difficulty and quality (using comprehensive grading systems). This enables the reader to make his/her own choices from a range of route options. Providing everything a prospective hill walker could want, 'The Ultimate Guide to the Munros' also makes extensive use of annotated digital photographs and OS maps and includes everything about a route from the amount of effort required to local history, weather conditions and the best tea-rooms in the vicinity.